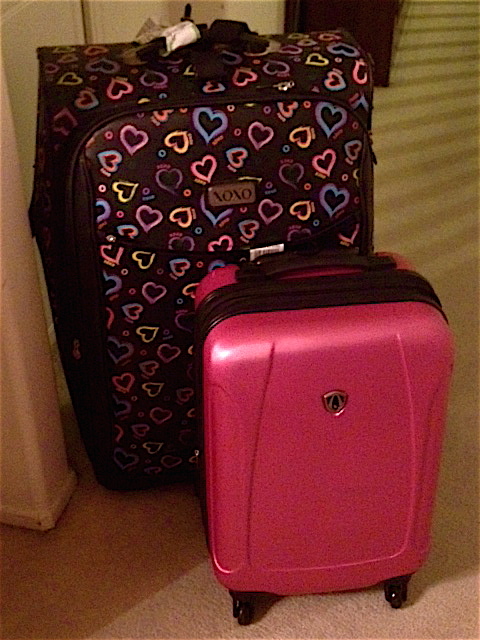 You can tell a lot about a person by looking at her luggage. Having spent a lot of time in airports, I’ve become an expert at luggage profiling. Parents with small children carry a ton of extra gear when they travel. Backpackers stuff everything into one (ginormous) khaki pack. College kids have more technology in their pockets than you can find at an Apple Store. Business folk carry a laptop in one hand and a Starbucks cup in the other. And opera singers pack a bunch of “extra” ballgowns… bet you didn’t know that. If you chose mostly A’s, then you’re a SUPER NOMAD. You can travel the world with a few handy items and the clothes on your back. I would be just like you, except that I wouldn’t know where to put my extra ballgowns. But you should check out this post about how to pack for the Western Sahara. If you chose mostly B’s, then you are a BLOATED FLOATER. You have a lot of baggage, and I mean that literally. Are you traveling with young kids? (If so, you’re doing great! Keep up the good work.) Are you setting sail for the New World with all your worldly belongings? (If so, you’re doing great! Keep up the good work.) But if not, then you’ve got way too much stuff! Before you park your U-Haul at the airport, think about what you really need. Organize. Simplify. If you chose mostly C’s, then you’re a CARRY-ON CAPTAIN. You know how to fit everything into a compact space. You breeze through security with no extra hassle, and you disembark a full thirty minutes before that poor family with the twin toddlers. I envy you. If you chose mostly D’s, then, congratulations! 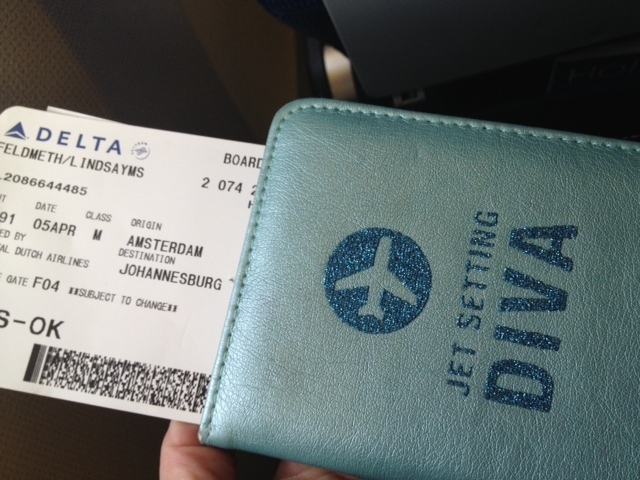 You are a true JET-SETTING DIVA. You understand that luggage has to be both functional and fabulous. Your suitcase might be heavy, but at least it’s pink. You are a savvy traveler with a sense of dramatic flair. You should probably order this passport cover by Sicura. Now that you know your luggage personality type, you’re ready to board. PanAm image courtesy of ScreenRant. A few minutes ago, I landed at the Lindbergh Field San Diego Airport. And that got me thinking about cool airport names. Why stick with a prosaic name like LAX when you could name your airport Sky Harbor (Phoenix) or Le Bourget (Paris)? Many airports are named after military heroes. Consider Charles de Gaulle Airport (Paris), King Shaka International Airport (Durban), and my favorite, Alexander the Great Airport (Skopje, Macedonia). Just occasionally, airports are named for artists. There’s Charles Schulz M. Airport in Sonoma. And in Malaga, they named one of their terminals after Pablo Picasso (c’mon, doesn’t the guy deserve a whole airport)? The Italians certainly know how to name their airports. Leonardo Da Vinci Airport (Rome), Cristoforo Colombo Airport (Genova), Galileo Galilei Airport (Pisa), and of course, Giuseppe Verdi Parma Airport are great examples. Some great musicians have also been “airported.” We have Louis Armstrong New Orleans International Airport, John Lennon Airport in Liverpool, the Warsaw Chopin Airport and, best of all, Wolfgang Amadeus Mozart Airport in Salzburg. But here’s my question: why not name airports after opera singers? After all, opera singers spend a lot of time in airports! And we sing stratospheric notes! Besides, naming an airport after a diva gives it a touch of class. Just imagine the dramatic effect of a Maria Callas Airport in Greece. Or a Joan Sutherland Airport in Australia. 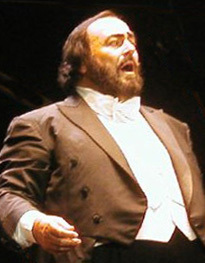 Or … how about the Luciano Pavarotti International Airport of Modena? Wouldn’t that be cool? Dare to dream!